Monster Jam and its fleet of giant, eye-popping trucks invaded Manila last year and treated Filipinos to two days of steel-crushing mayhem. Now, the show returns on June 18 and 19 once again at the SM MOA Arena. What do we expect? Another spectacular show for people who want to see humongous vehicles flying in the air and flattening an array of cars. 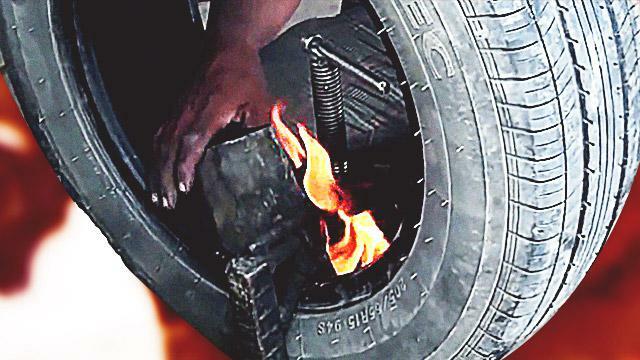 This is a spectacle you shouldn't miss if you're after a real-life Mad Max kind of experience. This year, Monster Jam returns with eight—count them, eight—trucks that are roaring to pulverize anything on their path. We introduce them to you as well as show you some of their highlights. In 2007, Alex Blackwell took over the reins of the Captain's Curse, and made it a star. It debuted at Monster Jam World Finals in the same year, where it was crowned the Monster Jam World Finals Freestyle Champion. A fiery beast from the orient that spits fire and is known for an explosive performance every time, the Dragon is a mythical creature with mythical stories to match its eye-catching colors! 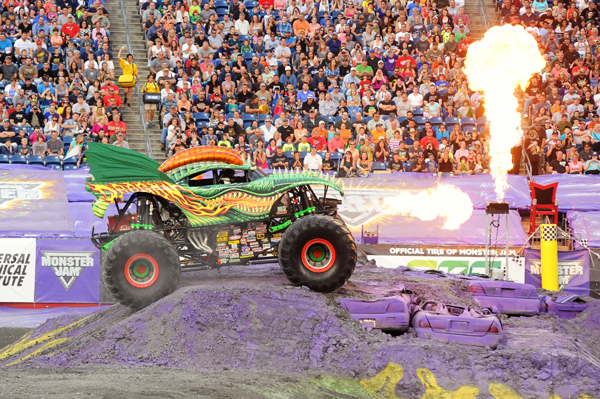 Grave Digger is one of the most decorated Monster Jam trucks in the world. It has won four Monster Jam World Finals championships, capturing the racing title in 2004 and 2006, and the freestyle title in 2000 and 2010. 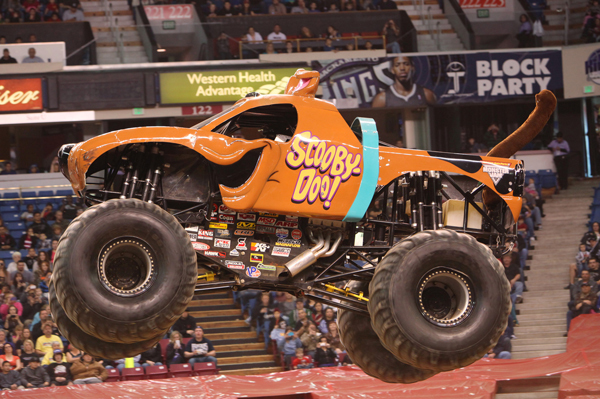 One of the most recognizable trucks in Monster Jam, and one whose original concept was born back in 1981. 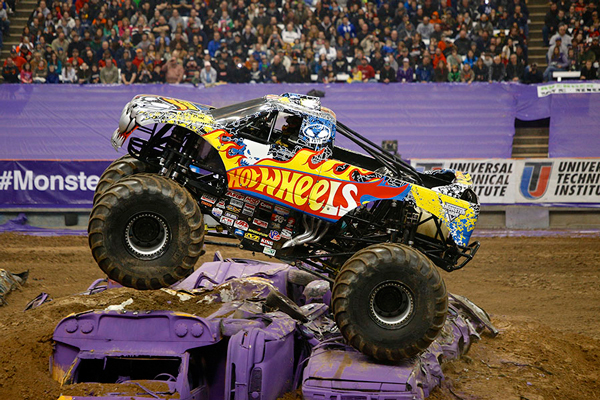 The most striking truck on the Monster Jam circuit with its "futuristic SUV" body and an orange and silver paint job coupled with a low-to-the-ground, aerodynamic body style. 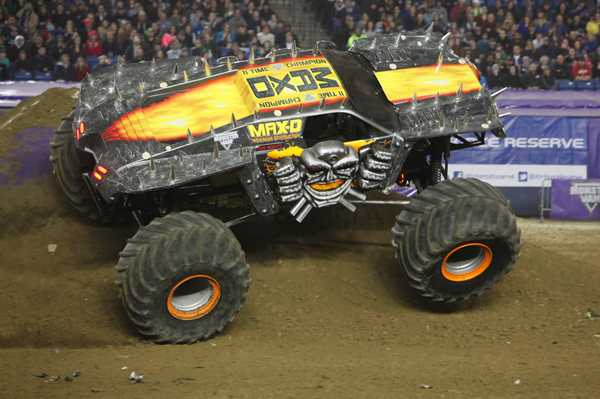 Max-D is possibly the fastest machine in the sport, which has allowed its driver Tom Meents to be crowned Monster Jam World Racing Champion no less than six times, the most recent coming at the 2012 Monster Jam World Finals. Meents has also claimed five Monster Jam World Freestyle Championships over his career and is the only driver ever to win both titles in the same year. 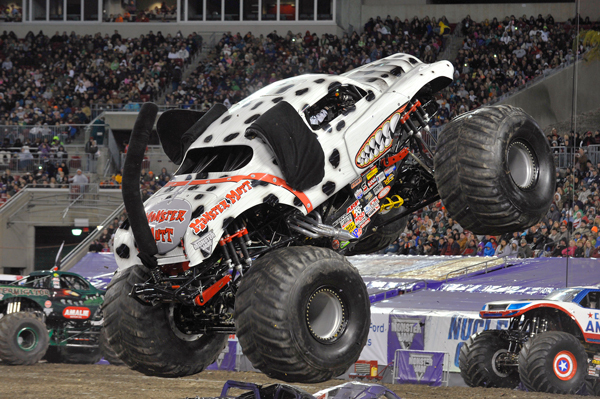 If your family dog suddenly sprouted six foot tires instead of legs and grew to almost 12 feet tall you get Monster Mutt—of which there are actually four versions: the original brown Monster Mutt, Monster Mutt Dalmatian, Monster Mutt Rottweiler, and Monster Mutt Junkyard Dog. 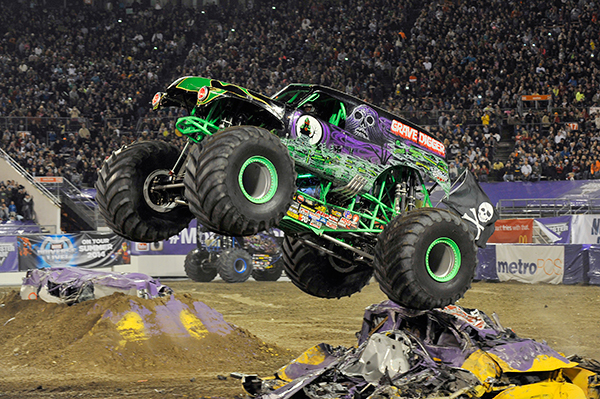 All three Monster Jam trucks share similar body styles, and both have massive floppy ears, tongues, and even tails. The trucks are driven by the beautiful Candice Jolly and Cynthia Gauthier, two of the outstanding female drivers competing in Monster Jam. Debuting in 2014, this Warner Bros. truck brings the world-famous mystery solving canine into the sport. It joins the Warner Bros. fan-favorite Monster Jam trucks Superman and Batman and would like to "take on the big dogs in the sport." 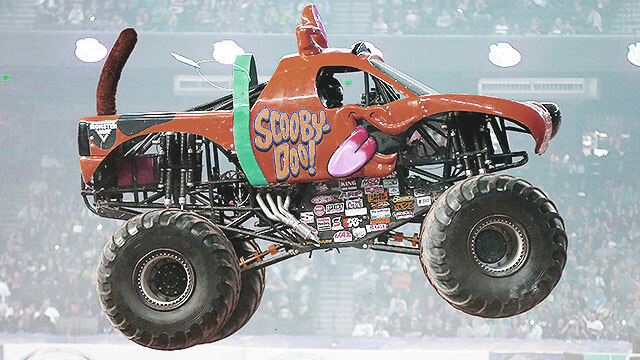 In 2016, there will be four Scooby-Doo Monster Jam trucks with drivers Bailey Shea, Brianna Mahon, and Linsey Read looking to ride as savagely as the boys. The Firestorm Monster Jam truck is constructed with state-of-the-art laminate technology, making it the first of its kind. Made of carbon fiber, Kevlar, and E-glass (a material used to make some of the parts found on the International Space Station), the body weighs half that of a normal fiberglass body. This Monster Jam truck is 17 feet long and 11 feet high, weighs 10,000 lbs., and sports a 1,500 horsepower engine, making for incredible performance. Featuring state-of-the-art lights and specs, this truck is the ride of the future. 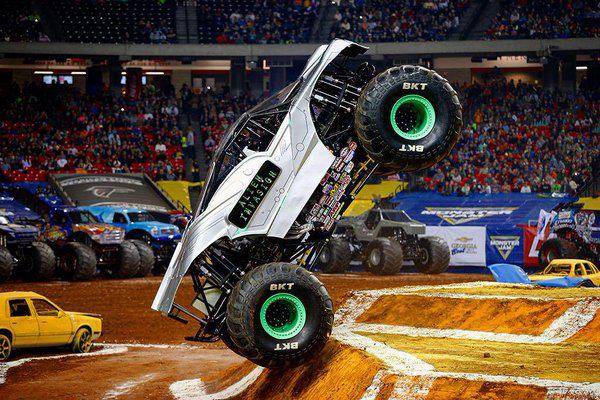 A custom-made monster truck driven by Chad Tingler, Alien Invasion debuted in Atlanta this 2016, but is more than ready to show the whole world its best. These four-meter tall, five-ton beasts will tear up the Mall of Asia Arena on June 18 and 19. It’s going to be bigger and wilder than last year, so don’t miss out. Get your tickets at any SM Tickets outlet. You can also call SM Tickets at (02) 470 2222 or visit www.smtickets.com. 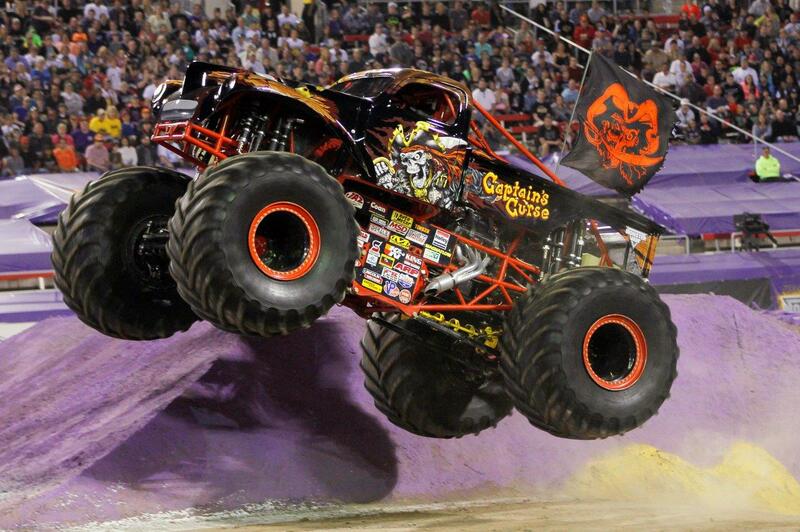 For more information about the Monster Jam show in Manila, visit www.monsterjam.com.ph. UPDATE: The article has been edited to reflect the correct show dates of June 18 and 19 and not June 21 and 22 as originally published.